girlnextdoorfashion: running, food, lifestyle, lipstick: Sponsor my blog for April! 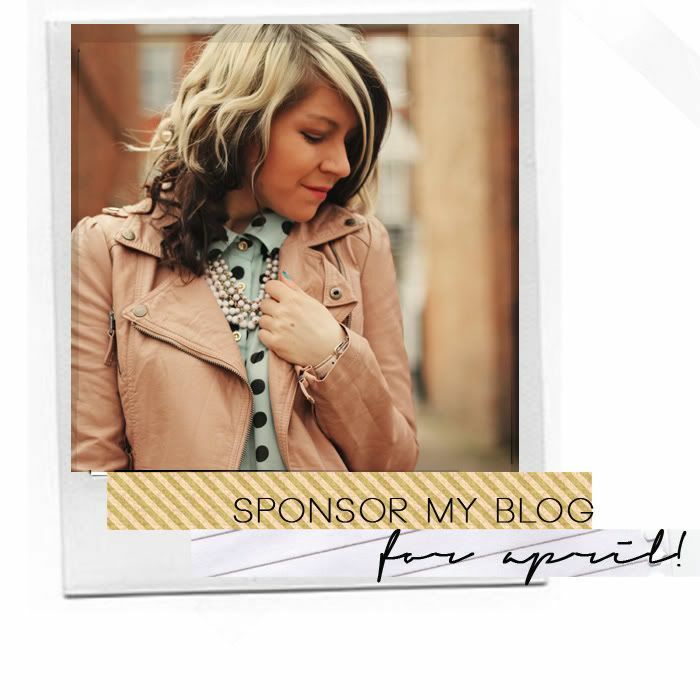 If you've ever considered sponsoring my blog, there's never been a better time to do it! I have lots of free time to blog in April and so many ideas for posts. I also have a few big things coming up, which I can't share with you yet, but it's going to be so exciting for my blog and therefore for you! I offer small, medium and large ads and my prices are ridiculously cheap, perfect for small businesses or even for your blog! I am happy to do reviews and also sponsor spotlight posts where I can show you off to my fabulous readers. Email me at girlnextdoorfashion[a]gmail.com for rates, stats or just more info!